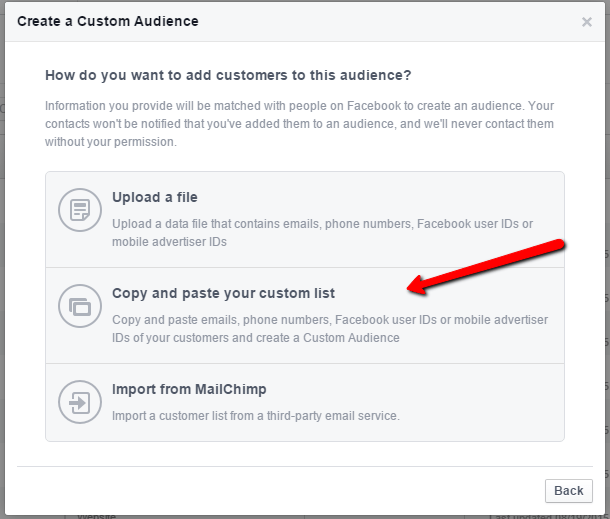 In this post I'll show you how to create a Facebook Custom Audience from people who visited your website and another example from your customers, if you have their emails. 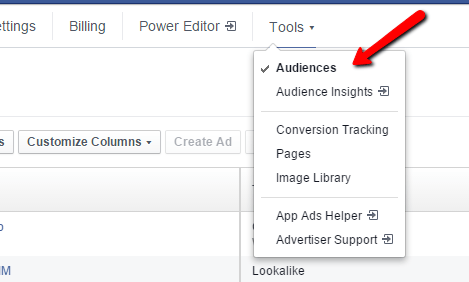 Facebook Custom Audiences are a very powerful strategy to target your existing customers and / or people who have visited your website in the last 180 days and to get your ads a lot cheaper and very targeted. Go to your Ads Manager​. ​Choose the type of audience you want to create. Now go get at least 20 emails from your customers. Select Copy and paste your custom list as shown below. I'm going to show you another option now. 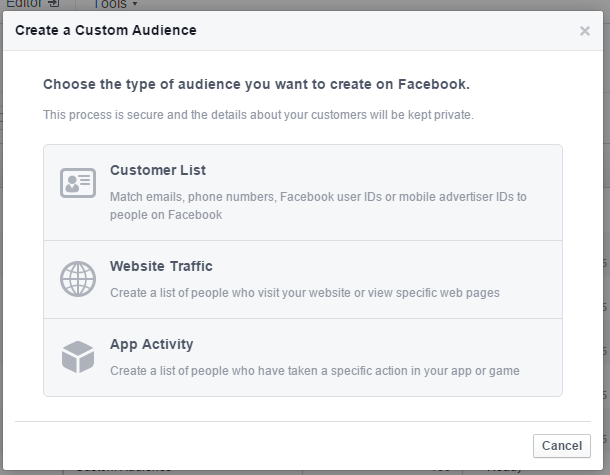 ​Let's create a new Custom Audience. 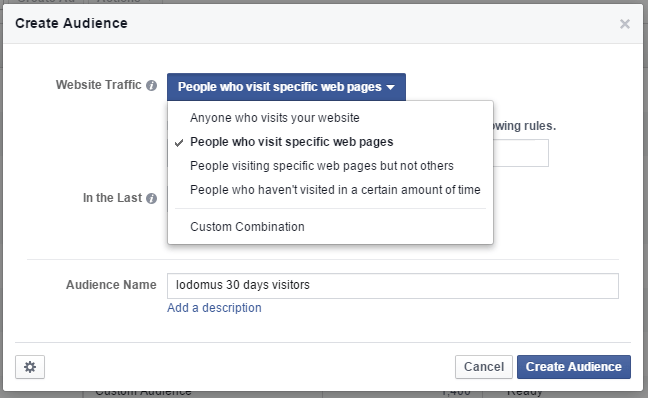 Now select People who visit specific pages. 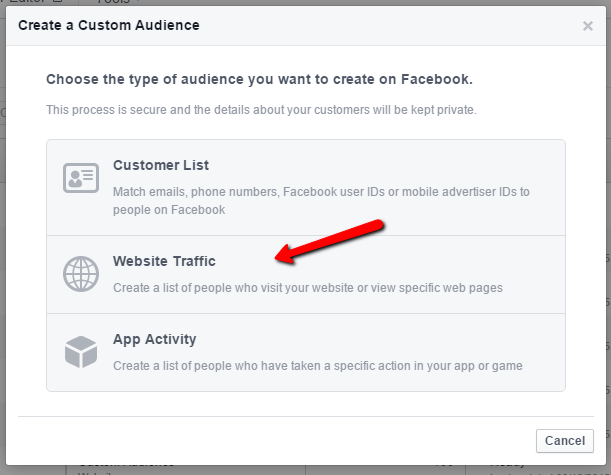 Now enter your website domain and enter the number of days you want to include in your Custom Audience. 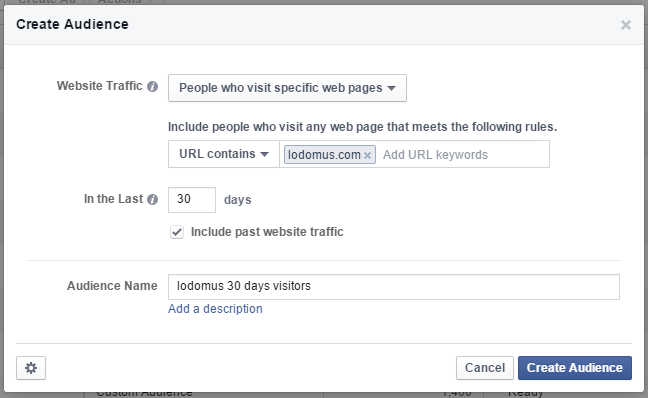 If you have a lot of traffic in your website, use 30 days​. 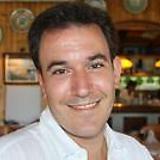 ​Congratulations, you should now have two Custom Audiences, one containing your email subscribers and another one containing your website visitors. 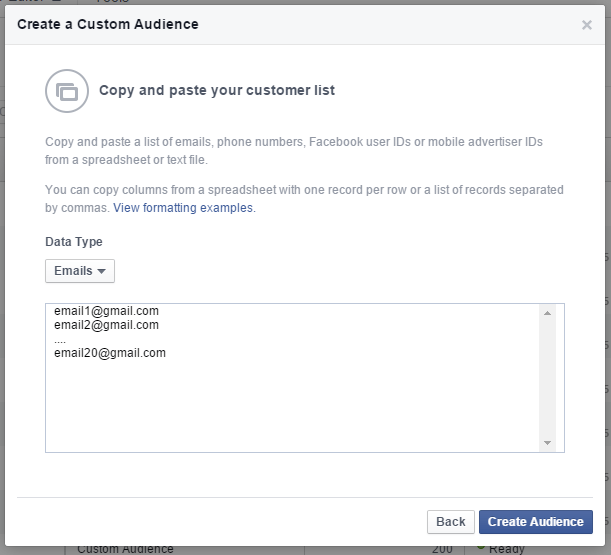 You can now target these Custom Audiences with your Facebook Ads and you'll see how cheaper​ you pay for your ads and how targeted they are.